Stack these interlocking blocks to level any part of your RV. 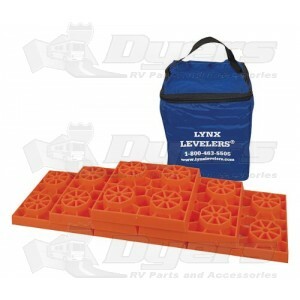 Lynx Levelers can be use in a variety of applications for all your leveling and stabilizing needs. Holds up to 40,000 lb.